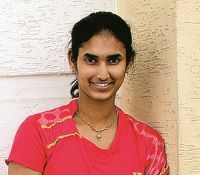 With PV Sindhu bringing in the Olympic silver this year, the cityai??i? ?s sporting grounds are bursting with more energy than ever before. Now, a whole new brigade of players feel the need to live up to the cityai??i? ?s reputation of sending champions to international tournaments. This time around, we certainly have hope not just in badminton, but other sports too. Take a look at the five promising sportspersons from the city. Kynan Chenai was barely 14 when he realised that he wanted to be a shooter. 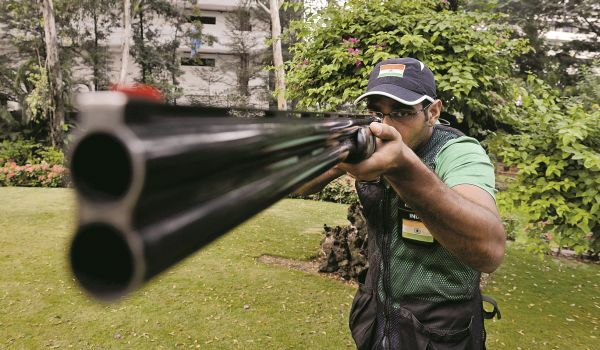 This 25-year-old who represented India at the Rio Olympics was still in his teens when he had mastered the technique to hold, aim and shoot. ai?? ?The best thing about shooting is that even while training, one can feel the adrenaline rush. Even while you are not really competing with another, the sheer act of shooting gives me joy.ai??? 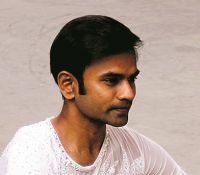 Although he could not crack into the top ten club at the Olympics, Chenai says the training for the sporting extravaganza will always stand him in good stead. ai?? ?Everyday was a learning experience at how to better myself at the game,ai??? he says. Like a true sport, he has put behind Rio and is moving ahead for the championships. ai?? ?I hope to make it to the team for the upcoming Asian and Commonwealth Games. I am also looking to be in top form for the Tokyo 2020 Olympic Games. Hyderabad is now in the big league and I have to live up to its reputation,ai??? says the Commonwealth gold winner. 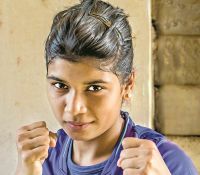 Her journey began when she was six and Shivani started off her International circuit one-and-a-half years ago. However, the highlight of her career is when she defeated PV Sindhu in the South Asian Games finals this year. She garnered a few other accolades in the last 12 months which included Bangladesh Challenge and the recently-concluded Russian Grand Prix. She is 19 and she is world number 50. A stellar womenai??i? ?s singles player, Shivani is keen to play doubles now. This Hyderabadi badminton player kept everyone hooked to their idiot box during the Rio Olympic Games 2016. Although he did not come home with a medal, he won the hearts of Indians with his sincere game. Indiaai??i? ?s highest ranked male player, Kidambiai??i? 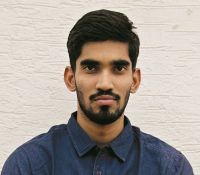 ?s brother Nanda Gopal is also a badminton player and a young Kidambi set foot in the academy while accompanying his brother for his practice sessions. He attributes his success to his guru Pullela Gopichand. He started off as a doubles player in 2009, but he credits his good form to the coaches at Pullela Gopichand Academy. For Kidambi, the year gone by has been about Rio and a few other tournaments. ai?? ?I am happy that I won couple of tournaments last year,ai??? says the 23-year-old. He is currently gearing up for the World Championships where he hopes to secure a medal. This golden boy of artistic skating is back in the city after winning two gold and two silvers in different categories at the 17th Asian Roller Skating championship held at Lishui, China, a week ago. Amongst other laurels, he also won the Arjuna Award last year. So what is it that he looks forward to next year? ai?? ?I have practised a lot with my father and brother who also coach roller skaters,ai??? says Yama. The training institute at his home in Secunderabad keeps him busy and the talent of young kids inspires him. His wish is to see India win in ice-skating. ai?? ?Next year I want to focus on Indo-Western style,ai??? says the stylish skater. Zareen was once told that boxing was not a womanai??i? ?s cup of tea. She was determined to prove them wrong. The boxing champion in her early-20s says, ai?? ?I have been boxing for the last six years and my goal is to win a gold medal in the Olympics.ai??? Zareen, who bagged the Devi Award this year, says, ai?? ?I won my first senior national boxing at Assam last year and I was elated. I want to win gold in Commonwealth and Asian Games in 2018.ai??? Zareen says that her bucket list is nothing but being the best and breaking stereotypes about girls.